I had such a great time at Brighton and Hove Food and Drink Festival this Spring, attending some pretty special dinners as well as the market and main food festival on Hove Lawns. 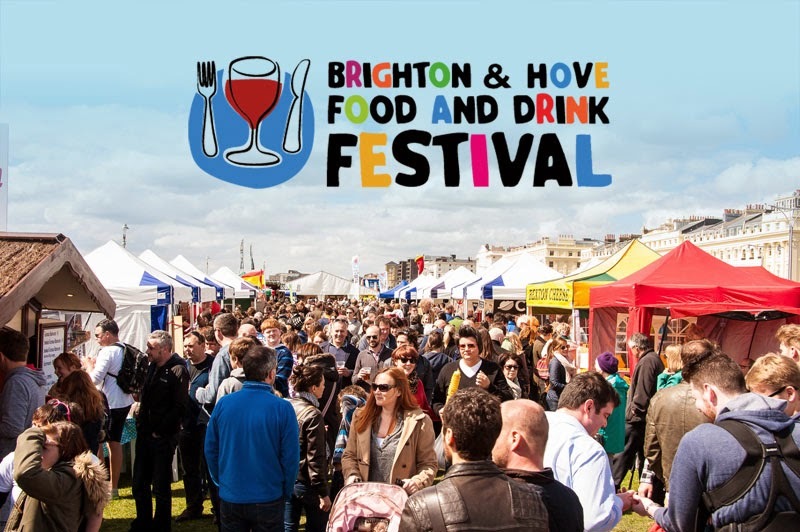 It's one of the best food festivals in the country and I'm sure proud it's here in Brighton. Some of these dinners and events are repeated this time so if you missed them in the Spring then catch them now. Also this Autumn there are quite a few new things, involving some of the hottest new restaurants in Brighton. Remember to book ahead as these will sell out quickly! For the full line up visit www.brightonfoodfestival.com but as always here are my favourites that I've cherry picked as the unmissable gems. I don't think there has been so much (worthy) hype about a Brighton restaurant for a very long time, or indeed ever. 64 Degrees has invited attention from the capital and the national papers for good reason. Brand new for the Festival, Food Lab is challenging the city’s most creative chefs and the county’s best producers to join together to create a fusion dish or product for a one-off tasting event at 64 Degrees. Who works with who will be completely random, but expect a completely unique dining experience. Producers include Blackdown Sussex Spirits, Ridgeview Wine Estate, La Cave à Fromage, Terre à Terre), 64 Degrees, The Chilli Pickle, Boho Gelato, Jeremy’s Restaurant, Julien Plumart. Brighton is a-buzz with the imminent opening of Silo and will be the hottest restaurant opening in 2014. Believe me. Silo is a pre-industrial food system that was born ‘Down Under’, and its connections with gourmet Western Australia. UK Chef Douglas McMaster will display a taste of his waste free, pure flavours menu which is as good for the planet as it is for your taste buds. During this six course dinner you will hear from both chefs about their inspiration, tales Of Oz and get the chance to sample award-winning wines from Matt’s home town, Margaret River. I loved this dinner for the Spring festival, the food was fantastic quality and the evening is great fun. As before, the dinner sees three top chefs come together for one amazing meal. Rob Carr of Hotel du Vin, Andrew MacKenzie from the restaurant at Drakes, and Michael Bremner of 64 Degrees, unite to prepare a supper inspired by their International Chef Exchange experiences of cooking with their partner chefs in Holland, for an audience of just 40 people. Chef Ed Heller: “A lot of chefs are often caught up with where they’ve been, what kitchens they have worked in, who they have worked for. All you need to know about me, is that food is my life. ‘Foraged’ is a 5 course dinner, completely wild, foraged and hand picked. It’s your chance to eat like never before with food from a chef who doesn’t just cook food, he farms it too. Over 100 stalls selling fresh produce ranging from organic vegetables and breads to seafood and locally reared meat, alongside local restaurateurs and hot food stalls. This Autumn welcomes back Wobblegate, Blackdown Sussex Spirits, Harvey’s Brewery and Butler’s Wine Cellar, all offering a great selection of locally produced drinks, whilst Mixology Group will be shaking it up in their Rum Shack. 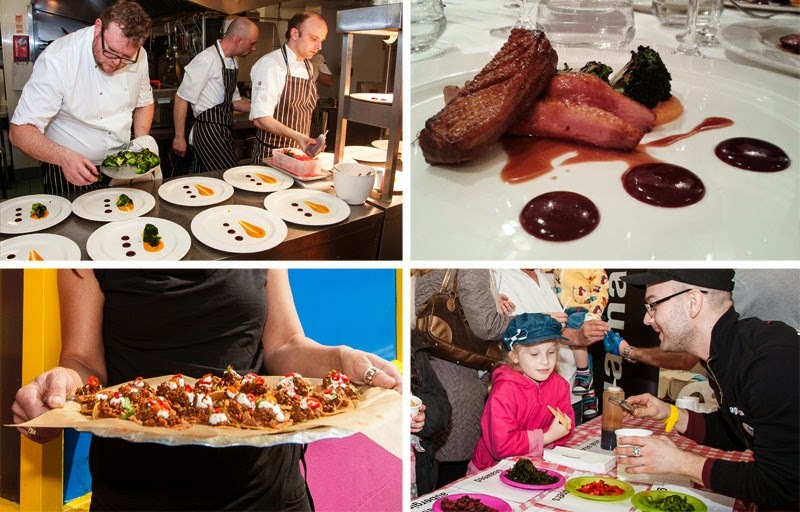 As well as the food there is a full line up of events, masterclasses and tastings. See the Festival website for more details as there is far too much to list here! This is so brilliant for encouraging children into food experiences and cooking. There's an amazing line-up of free activities alongside the Live Food Show marquee on Hove Lawns on Saturday 6 - Sunday 7 September to keep hungry little foodies busy! Choose from a host of workshops and making activities plus crafts with Rockinghorse and face painting with FareShare. Supporting Rockinghorse children’s charity. The least boring wine event of your life - I promise you! The popular Make Your Case ‘punk’ wine tasting evening returns to the Autumn Harvest festival line-up with another epic line-up of wine experts including sommeliers, restaurateurs, vintners and wine makers, pitching their favourite vino to the audience. Whilst you sample the wines blind, the presenters have three minutes to ‘pitch’ why their wine is the best – but they can’t mention the grape, price or country of origin. Then you score for presentation and taste – the wine with the highest score at the end of the night is declared our champion. You’ll also enjoy sharing platters of food from the kitchens of Pub du Vin. You'll be standing on your chair shouting by the end of the evening. Yes you will.